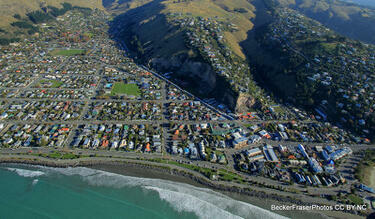 Photograph captioned by BeckerFraserPhotos, "Sumner". 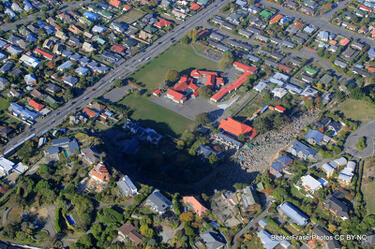 Photograph captioned by BeckerFraserPhotos, "Intersection of Nyland Street and Wakefield Avenue, Sumner". 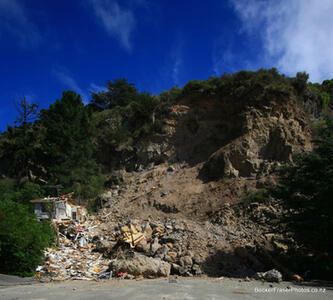 Photograph captioned by BeckerFraserPhotos, "Rock falls on Sumner Road". 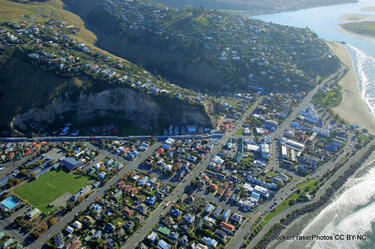 Photograph captioned by BeckerFraserPhotos, "Redcliffs school". 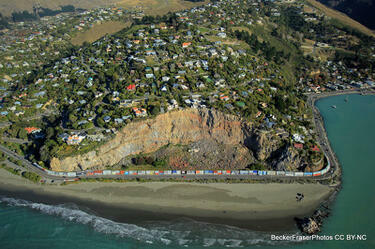 Photograph captioned by BeckerFraserPhotos, "Cliff collapse at Redcliffs". 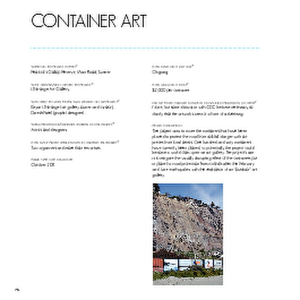 Photograph captioned by BeckerFraserPhotos, "Clifton Hill". 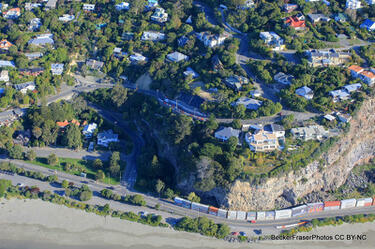 Photograph captioned by BeckerFraserPhotos, "Protective wall of shipping containers below the Sumner cliffs". 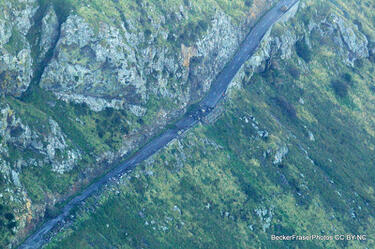 A photograph captioned by BeckerFraserPhotos, "Castle Rock on the Port Hills, showing where a huge section tumbled down the hillside on 22 February 2011". 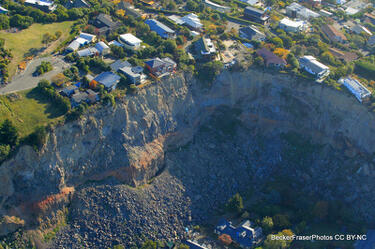 Photograph captioned by BeckerFraserPhotos, "The gigantic rock that destroyed the Sumner RSA as it fell from the cliff above on February 22". 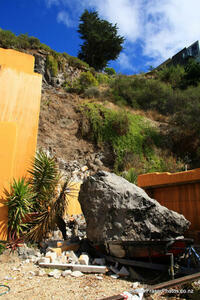 Photograph captioned by BeckerFraserPhotos, "Big rock brought down by rock fall". 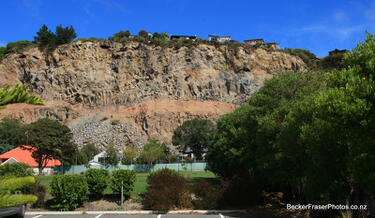 A cliff above Redcliffs showing signs of recent collapse. 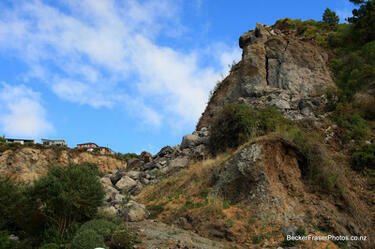 A fence from one of the houses above is now jutting over the edge. 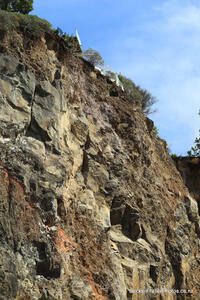 A cliff above Redcliffs showing signs of recent collapse. 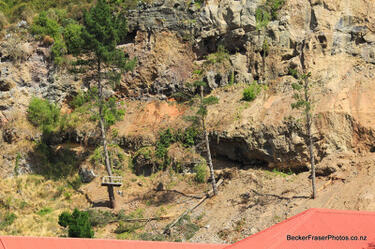 A hole in the cliff indicates where a huge boulder dislodged during the 22 February 2011 earthquake. 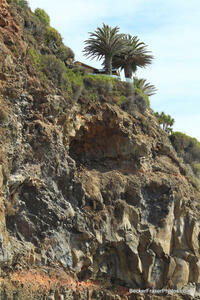 Photograph captioned by BeckerFraserPhotos, "Rock fall". 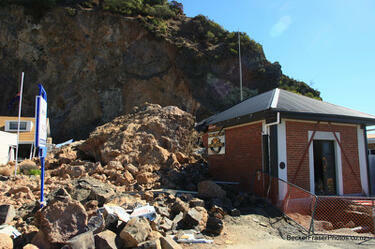 Photograph captioned by BeckerFraserPhotos, "Rock fall that destroyed this house, 54 Raekura Place, Redcliffs". 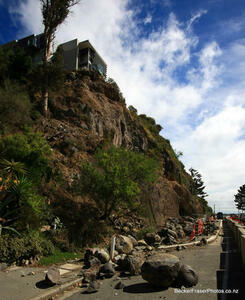 A cliff above Redcliffs showing signs of recent collapse. 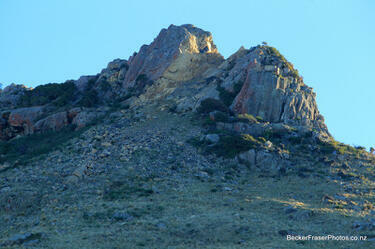 Photograph captioned by BeckerFraserPhotos, "Rock falls above Main Road, Redcliffs". 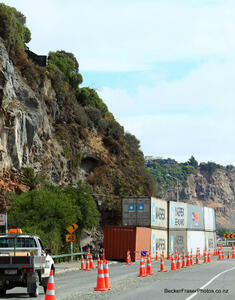 Shipping containers on Main Road in Redcliffs that have been placed there to prevent rocks falling on passing cars. The road is buckled and lanes are marked with road cones. 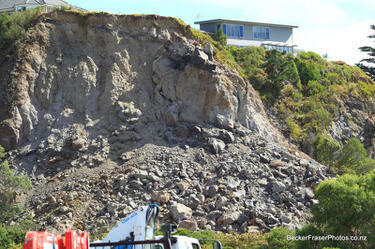 Photograph captioned by BeckerFraserPhotos, "Rock fall in Sumner".